Hi, I am very glad you are here. This is Kay Augustine, the founder of Kaybotanicals. Kaybotanicals was created by me to discover a sustainable approach in life that can bring in good health and wellness into the community like the old ways. I have always been fascinated by the miracles of nature as a youngster that I believed nature has the key to all our questions on health and goodness. I admire nature for its ability to give back to the world and its people in one way or the other. That is the point when I realized my purpose of existence. I strongly wanted to give back to the community I grew up in. I would more likely call it an obsession which turned out into a strong passion that completely transformed my life for better. The search for natural secrets motivated me to pursue my studies at one of the reputed School of Herbal medicine. It was during that time when I completely got enchanted by a particular herb that is amazing on many levels. The herb is none other than Mitragyna Speciosa, whose common name is Kratom. 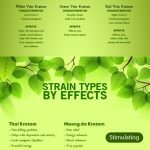 Kratom was indeed an eye-opener to me since it had so many secrets. With every unearthed property of Kratom, my love for it grew without any boundaries. I went on to publish my thesis paper on Kratom and its effects which is still one of the most searched research journals on Kratom. I have also published a few other recognized papers on other natural herbs as well. Though I understood well what Kratom could become this new age world, I wanted to be very sure of it. I can’t go about talking about the legacy of a century-old plant without any hard-hitting proof. Also, I wondered how an herb with a strong historical background just faded into the pages of history. At this juncture, I knew it was time to give some shape to the purpose of my existence. All these collective thoughts impregnated a strong wave in my mind and I see the birth of Kaybotanicals as a consequence of this action. Kaybotanicals was not started as a company that is committed to making huge profits. I am stressing on this fact because I had taken a path that is less traversed with Kratom and that it needed immense research to make a mark with the public. I am very particular about the lab tests, multiple farmers, organically harvested materials and highly safe techniques for the manufacturing process. The going was never easy and we had to carve a niche for ourselves to sustain in the market. Having started as an offline store, in the beginning, we have grown leaps and bounds today with our inception into the online market. But the aim and mission remain the same as always. It’s driven towards the celebration of life with the holistic features of Kratom that comes with a deeper understanding of the plant. I always believe that great quality comes with greater care towards mankind. With that being said, you can contact me any time for your queries on Kratom and the journey of Kaybotanicals, for I would be happy to enlighten you with facts and information that could pave way for a healthy community tomorrow.